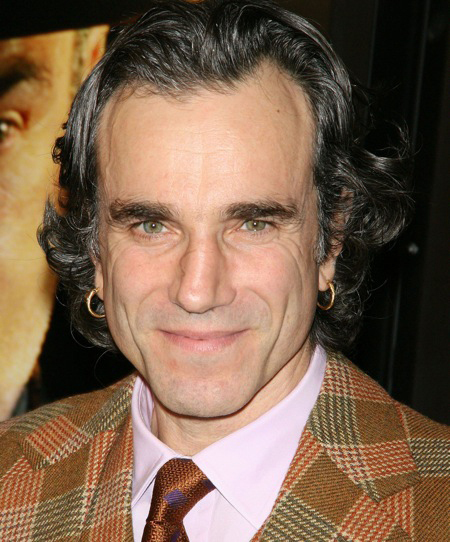 What’s Your Favorite Daniel Day Lewis Performance? Yesterday I saw Steven Spielberg’s Lincoln, which I immediately loved. While I haven’t decided what’s the strongest film of the year thus far, Lincoln is a real contender (the other two are Amour and The Master). And part of the reason I loved it so much was because of Daniel Day Lewis, who played Abraham Lincoln in the film. Lewis is the best actor currently working right now in my opinion and really dedicates himself to his roles. So I thought for today’s question, I’d like to ask what’s your favorite performance by Lewis? He has so many great roles, but I think I would have to pick Daniel Plainview, the oil prospector seeking to crush all other competition in Paul Thomas Anderson’s There Will Be Blood. Lewis gives one of the most devoted performances in movie history, undoubtedly the best of the last fifteen years. Yeah, that’s a great performance. That’s probably my second favorite role by him. Thanks for commenting. I’d have to say My Left Foot, as it was the first role I saw of his. Nice choice. That was the second role I saw him in and it blew me away. Not seen him in a massive amount to be honest but I do like him in Gangs of New York. He was great in that movie. If you haven’t, I recommend seeing him in There Will Be Blood or My Left Foot. Thanks for commenting. Good choice. Daniel Plainview’s one of the best movie characters ever. Really loved him as Lincoln. He became the man for me and allowed to show the human side of one of the most famous men of all time. While I haven’t seen every depiction of a president, I would go as far to say he’s the best. I loved Lincoln, and Lewis was spectacular in it. Definitely one of his best roles. Thanks for commenting. Definitely the most human portrayal of Lincoln ever. Bill the Butcher is certainly one of his best roles. Thanks for commenting. With such a great actor, picking a favorite is always hard, but I’ll go with In the Name of the Father. That scene where they get him to sign the confession is heartbreaking. I haven’t seen that one. I’ll have to check it out. Thanks for commenting. It’s freaking Lincoln, now! LOL. Holy cow… that was incredible! 😀 I’d have never thought he could top Bill the Butcher, but man…. wow. Yeah, he was great in Lincoln and I say that’s the best performance I’ve seen all year. Daniel Day Lewis is such an incredible actor. Thanks for commenting. I rate him amongst the very best and all his performances are so good, it’s hard tonpick one. If I really had to then I’d choose Bill The Butcher. Not seen Lincoln yet of course. He was great as Bill the Butcher, one of the best characters of the last ten years. I highly recommend Lincoln, I saw it on Saturday and felt like getting tickets for the next screening. Thanks for commenting. Yeah, he was great in that. Bill the Butcher is a great character. Thanks for commenting. I haven’t seen A Room With A View (I’ll be sure to see that one). He was great in Gangs of New York. Thanks for commenting. I’d have to go with Daniel Plainview as well, but I can say I’ve never seen even a mediocre performance from the man. Yeah, Plainview was my pick as well. DDL is probably the most consistent actor working right. All of his performances that I’ve seen are great. Thanks for commenting.